Ophthalmology has a long history of successful conventional biomaterial applications including viscoelastics, drug delivery vehicles, contact lenses, and a variety of implants. A myriad of further possibilities exists as the margins between conventional material concepts and natural tissues continue to blur, and biomaterials move closer to nature. Genetically engineered materials (for example, hyaluronic acid and fibrin tissue glues) harnessing the power and accuracy of biological systems in molecular synthesis are becoming commonplace. New synthetic surfaces capable of upregulating or downregulating biological responses at the tissue/material interface are starting to reach clinical application; and an emerging understanding of matrix/cell interactions may soon allow engineered replacement for a range of tissues in the eye. A basic classification divides materials according to their primary bonding structure into ceramics (ionic bonding), metals (metallic bonding), and polymers (covalent bonding). Modern ophthalmic implants are almost all fabricated from synthetic polymers. 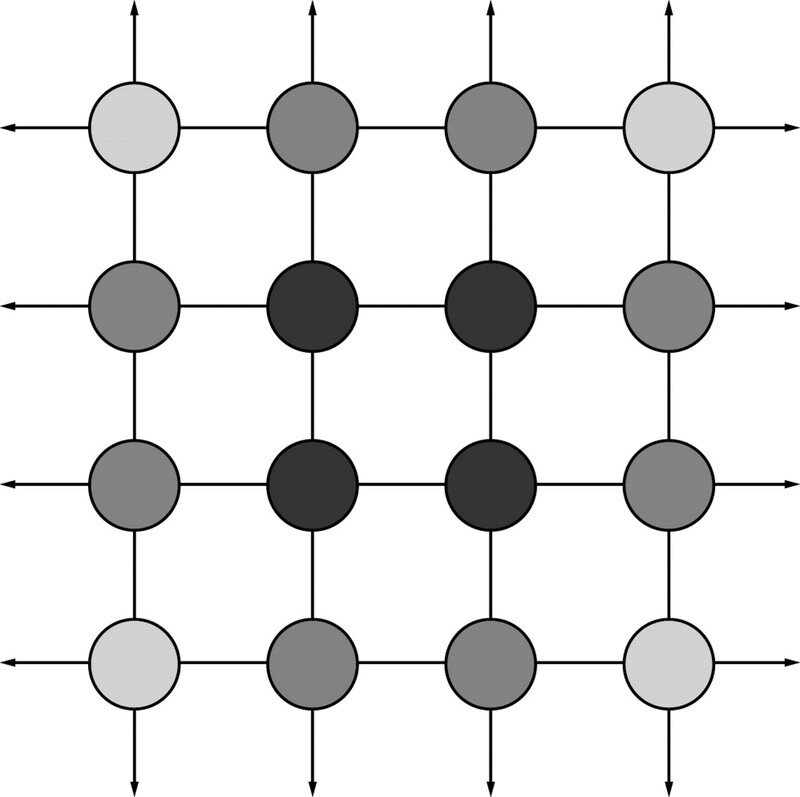 A simple two dimensional lattice illustrating surface reactivity. Molecules within the lattice are at a lower energy state (darker shade) than molecules at the surface which have more unoccupied bonding sites (arrows). Interfacial free energy is a measure of the number and reactivity of unoccupied bonding sites at the interface between a material surface and its surroundings. Polymers such as poly(tetrafluoroethylene) (PTFE, Teflon) have a have a relatively unreactive surface and are less prone to biological spoilation in aqueous systems than hydrophobic materials (for example, silicone, PMMA) with a higher interfacial free energy. Biocompatibility is a multidimensional concept, which escapes easy definition. In general, an ideal biomaterial would not induce an inflammatory response, would resist bacterial colonisation, and would promote normal differentiation in the surrounding tissues.13 Specific requirements for biocompatibility vary with the application and site of implantation, and may conflict. For stable tissue integration, surface modification to promote cell adhesion is desirable. For fluid contacting applications, the reverse is true: biocompatibility may be significantly impaired by cell adhesion. Bioinert materials non-specifically downregulate biological responses. These materials were developed originally as non-thrombogenic surfaces for vascular surgery, and are often referred to as haemocompatible; but have a number of possible applications in the eye and other biological fluid contacting environments. In addition to reducing fibrin deposition and platelet activation, bioinert materials resist biological spoilation generally. Protein deposition, bacterial and inflammatory cell adhesion are all reduced. Potential ocular applications include contact lenses, intraocular lenses, glaucoma drainage devices, keratoprosthesis optics, and vitreous substitutes. Successful development of synthetic bioinert materials has been derived from mimicking natural surfaces. A new group of materials has been polymerised from monomers based on phosphoryl choline, the hydrophilic head group of phospholipids (lecithin and sphingomyelin) which predominate in the outer envelope of mammalian cell membranes.14 15 In vitro assays for a range of phosphoryl choline (PC) copolymer coated surfaces demonstrate a generalised reduction in protein and cell adhesion (Fig 2) in comparison with uncoated controls.16-18 Clinical trials in contact lens wearers show reduced protein and lipid spoilation,19 and increased comfort20 for patients wearing a PC based hydrogel lens in one eye and a conventional hydrogel lens in the other. The mechanism by which PC polymers resist protein and cellular adhesion is the subject of continuing debate. The natural cell wall phospholipid bilayer is self assembling. Stability is achieved by sequestering hydrophobic lipid moieties to the interior in an aqueous environment. 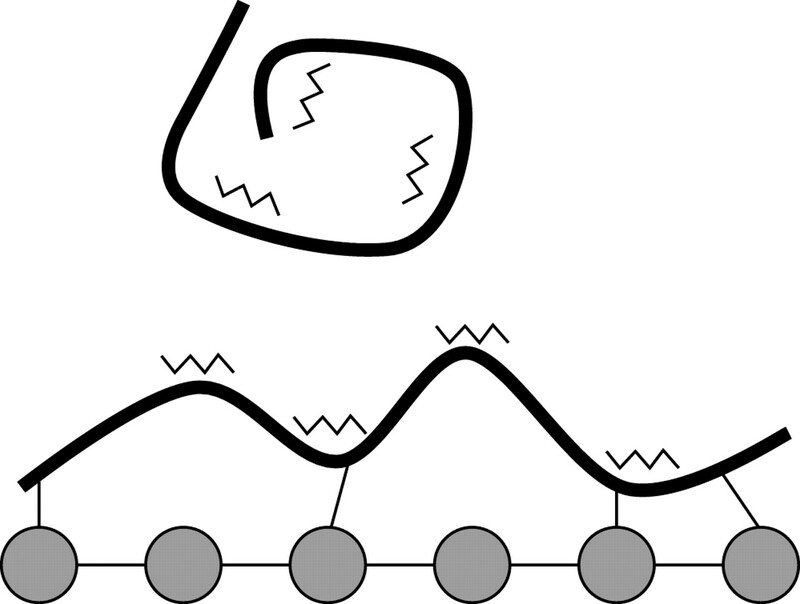 PC polymers may mimic natural cell surfaces by preferentially adsorbing a self assembling phospholipid monolayer in the correct configuration.21 Alternatively, resistance to protein and cell adhesion may be mediated by properties intrinsic to the PC molecule.14 15 PC is zwitterionic, possessing both positive and negative charges in overall electrical neutrality. This juxtaposition attracts a large and stable hydration shell, which effectively lowers interfacial free energy and the access to bonding sites for adsorption (Fig 3). Hydrogels reduce their interfacial free energy in aqueous systems by trapping a shell of water molecules (open circles) which tend to shield their reactive domains (arrows). Bioinert polymers and natural cell surfaces may resist non-specific adsorption through this micromolecular exclusion zone. The ability to trap water and exclude non-specific macromolecular adsorption may be of fundamental importance to natural tissue surfaces. Conventional synthetic hydrogels (weakly cross linked, hydrophilic, soft polymers) are generally more biologically inert than might be expected in comparison with non-hydrated polymeric materials with similar surface energy characteristics. Poly(hydroxyethylmethacrylate) (HEMA), for example, deposits cells less readily than poly(methylmethacrylate) (PMMA) when used as an intraocular lens material.22 Again, this may be explained by a reduction in available bonding sites caused by water trapping at the material surface. No synthetic biomaterial surface is truly bioinert, but materials such as PC and PEO polymers would appear to offer considerable promise in downregulating some of the deleterious biological reactions associated with conventional polymeric materials in ophthalmology. Zero reaction is often an inappropriate biological reaction to implanted materials. This is particularly true in situations where good tissue integration or tissue regeneration is paramount. Adsorption of soluble adhesion molecules (thick lines) to a hydroxyapatite surface may induce a conformational change resulting in the exposure of previously sequestered integrin binding domains (jagged lines), promoting cell adhesion. The effect of incorporating integrin-ligand-peptide sequences on cell behaviour in synthetic matrices and artificial surfaces is currently being explored. Resorbable matrices for ocular surface regeneration analogous to current artificial skin constructs may have applications in external disease, refractive surgery, oculoplastics, and glaucoma. Progressing from essentially two dimensional constructs (for example, skin or conjunctival replacement) to solid organ replacement requires careful consideration of the nutrient environment. Most cells are unable to survive in a matrix at greater than approximately 500 μm from a diffusible nutrient source (blood, aqueous, synovial or cerebrospinal fluid).54 This limitation for non-vascular tissues immediately suggests the cornea as a realistic target for tissue engineered replacement. Perfusion culture systems, or “bioreactors”, developed for seeding artificial cartilage matrices could be modified and applied to the development of a true replacement cornea. Early studies have already demonstrated normal morphology and expression of phenotypic markers for engineered corneal constructs (Fig6) with an epithelial and endothelial layer.55 56Significant problems relating to source materials and the optimisation of matrix clarity remain; but at the current rate of progress, conventional corneal transplantation may be obsolete within quarter of a century. Theoretical advantages of tissue engineered corneal replacement could include no tissue supply problems, no rejection, and no iatrogenic disease transmission. Whilst the concept of a resorbable matrix replaced by autologous tissue is seductive in its “ultimate biocompatibility”, resorbable matrices to guide tissue regeneration could also have disadvantages. The final result will leave the tissue, at best, no less resistant to injury or any underlying disease process than before the original insult. It may be possible to improve tissue performance using a permanent synthetic matrix. An artificial cornea, for example, could have tailored refractive power in addition to enhanced resistance to enzymatic matrix degradation. Stem cell reprogramming and cloning techniques avoid tissue rejection by producing autologous or genetically identical cell populations for tissue replacement. An alternative tissue engineering strategy with some exciting potential ocular applications is immunoisolation, in which foreign cells are protected from immune attack by encapsulation within a porous membrane59; with a pore size large enough to allow permeability to nutrients and smaller molecular species but small enough to prevent immunoglobulin and immunological effector cell access. Long term survival of allogeneic human and animal cells has been demonstrated for encapsulated cell/matrix constructs.59 60 Current uses include liver support devices and gene therapy. In contrast with other gene therapy protocols, delivery of an engineered protein product can be measured before implantation for encapsulated cells. Sustained intraocular delivery of a variety of cytokines could potentially be achieved using immunoisolation technology. Biomaterials research spans the full spectrum of possibilities for restoring tissue function from entirely synthetic, non-degradable implants and prostheses, through hybrid cell/matrix constructs, to fully resorbable matrix templates for organ regeneration. Developments throughout this exciting spectrum will change the landscape of medical practice in the coming century. The immediate challenge for ophthalmology is to translate existing bioinert, bioactive, and tissue engineering biomaterial concepts into applications relevant to the prevention of visual loss. (1996) Polymeric materials. in Plastics: materials and processing . ed Strong AB(Prentice-Hall, New Jersey), pp 21–92. (1986) The role of van der Vaals forces and hydrogen bonds in hydrophobic interactions between biopolymers and low energy surfaces. 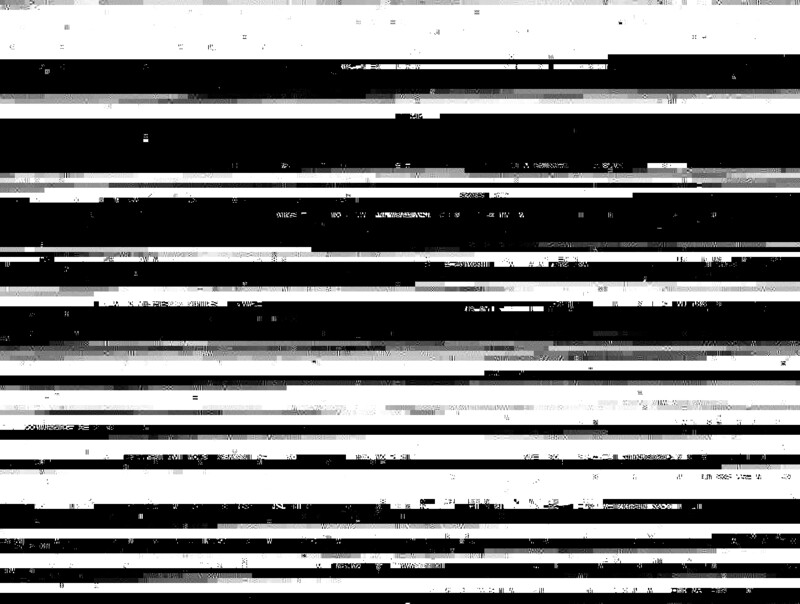 Interface Sci 111:378–390. (1996) Proteins: structure, properties, and adsorption to surfaces. in Biomaterials science . eds Rattner BD, Hoffmen AS, Schoen FJ, Lemons JF(Academic Press, San Diego), pp 133–141. (1987) Biomaterial-centred infection:microbial adhesion versus tissue integration. Science 237:1588–1595. (1996) Cells: their surfaces and interactions with materials. in Biomaterials science . eds Rattner BD, Hoffmen AS, Schoen FJ, Lemons JF(Academic Press, San Diego), pp 141–147. (1987) Theoretical and experimental analysis of cellular adhesion to polymer surfaces. J Biomed Mater Res 21:1039–1055. (1995) Inflammatory responses to biomaterials. Am J Clin Pathol 103:466–471. (1996) Inflammation, wound healing and the foreign body response. in Biomaterials science. eds Rattner BD, Hoffmen AS, Schoen FJ, Lemons JF(Academic Press, San Diego), pp 165–173. (1993) Fibrinogen mediates acute inflammatory responses to biomaterials. J Exp Med 178:2147–2156. (1993) Inflammatory responses to implanted biomaterials: role of surface-adsorbed immunoglobulin G. J Lab Clin Med 122:292–300. (1996) Correlation of material surface properties with biological responses. in Biomaterials science . eds Rattner BD, Hoffmen AS, Schoen FJ, Lemons JF(Academic Press, San Diego), pp 445–450. (1996) Implant associated infection. in Biomaterials science. eds Rattner BD, Hoffmen AS, Schoen FJ, Lemons JF(Academic Press, San Diego), pp 205–214. (1987) Definitions in biomaterials. (Elsevier, Amsterdam), pp 67–68. (1984) Biomembrane surfaces as models for polymer design: the potential for haemocompatibility. Biomaterials 5:135–142. (1986) Biomembranes as models for polymer surfaces. Biomaterials 7:121–125. (1991) Protein adsorption from human plasma is reduced on phospholipid polymers. J Biomed Mater Res 25:1397–1407. (1994) Biocompatible surfaces using methacryloylphosphorylcholine laurylmethacrylate copolymer. ASIAO J 40:853–857. 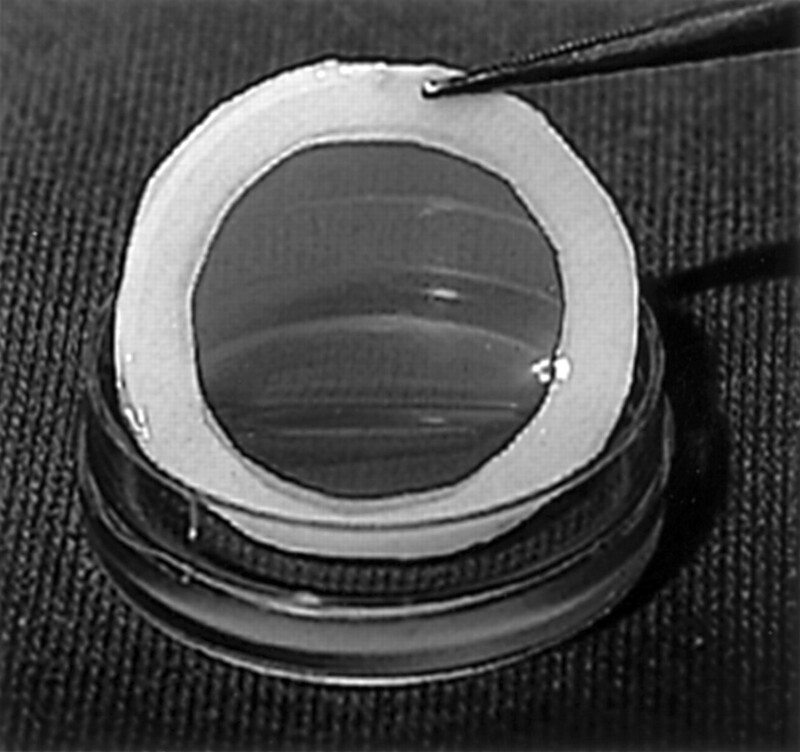 (1998) In vitro ocular compatibility of glaucoma filtration implant materials. (ARVO Suppl) Invest Ophthalmol Vis Sci 39:5114. (1997) Clinical comparison of Omafilcon A with four control materials. CLAO J 23:249–258. (1997) Six month clinical evaluation of a biomimetic hydrogel contact lens. CLAO J 23:226–236. (1992) Haemocompatibility of human whole blood on polymers with a phospholipid polar group and its mechanism. J Biomed Mater Res 26:1543–1552. (1991) Cellular invasion on hydrogel and poly(methylmethacrylate) implants; an in vivo study. J Cataract Refract Surg 17:774–779. (1984) Interaction between BLLD components and hydrogels with polyoxyethylene chains. in Polymers as biomaterials. eds Shalaby SW, Hoffman A, Ratner BD, Horbet TA(Plenum, New York), pp 361–374. (1996) Nonthrombogenic treatments and strategies. in Biomaterials science. eds Rattner BD, Hoffmen AS, Schoen FJ, Lemons JF(Academic Press, San Diego), pp 297–308. (1996) Bioactive materials. Ceramics Int 22:493–507. (1996) The hydroxyapatite orbital implant:a prospective study. Eye 10:29–37. (1997) Coralline hydroxyapatite keratoprosthesis in rabbits. J Refract Surg 13:74–78. (1998) Hearing results with the Dornhoffer ossicular replacement prosthesis. Laryngoscope 108:531–536. (1997) Particulate bioglass as a grafting material in the treatment of periodontal intrabony defects. J Clin Periodontol 24:410–418. (1994) Clinical applications of hydroxyapatite reinforced materials. British Ceramic Trans 93:104–107. (1996) The integrin superfamily and the eye. Invest Ophthalmol Vis Sci 37:696–701. (1992) Integrins: versatility, modulation, and signalling. Cell 69:11–25. (1998) RGD peptides regulate the specific adhesion of osteoblasts to hydroxyapatite but not titanium. J Dental Res 77:481–487. (1998) Effect of surface reaction stage on fibronectin mediated adhesion of osteoblast like cells to bioactive glass. J Biomed Mater Res 40:48–51. (1995) Integrins: emerging paradigms of signal transduction. Annu Rev Cell Devel Biol 11:549–599. (1998) In vitro adsorption and activity of enzymes on reaction layers of bioactive glass substrates. J Biomed Mater Res 39:575–579. (1997) Interaction of cells with UHMWPE impregnated with the bioactive peptides RGD, RGE, or poly-L-lysine. Biomed Sci Instrumentation 34:41–46. (1998) Design and function of novel osteoblast-adhesive peptides for chemical modification of biomaterials. J Biomed Mater Res 40:371–377. (1999) Tissue engineering: the challenges ahead. Sci Am 280:62–65. (1981) Living tissue formed in vitro and accepted as skin-equivalent tissue of full thickness. Science 211:1052–1054. (1982) Wound tissue can utilise a polymeric template to synthesise a functional extension of skin. Science 215:174–176. (1997) Transplantation of chondrocytes utilizing a polymer-cell construct to produce tissue engineered cartilage in the shape of a human ear. Plast Reconstruct Surg 100:297–302. Yannas IV, Orgill DP, Silver J, et al. Regeneration of sciatic nerve across a 15mm gap by use of a polymeric template. In: Gebeleim CG, ed. Advances in biomedical polymers. New York, 1987:1–9..
(1996) Towards the development of an implantable tissue engineered liver. Biomaterials 17:365–372. (1996) Tissue engineering of a bioartificial kidney: a universal donor organ. Transplant Proc 28:2032–2035. (1998) Tissue engineered skeletal muscle:preparation of highly dense, highly oriented hybrid muscle tissues. Cell Transplant 7:71–82. (1996) Tissue engineered heart valves: autologous valve leaflet replacement study in a lamb model. Circulation 94:164–168. (1998) A completely biological tissue engineered human blood vessel. FASEB J 12:47–56. (1996) Burn dressings. in Biomaterials science. eds Rattner BD, Hoffmen AS, Schoen FJ, Lemons JF(Academic Press, San Diego), pp 360–370. (1996) Natural materials. in Biomaterials science. eds Rattner BD, Hoffmen AS, Schoen FJ, Lemons JF(Academic Press, San Diego), pp 84–94. (1997) A metabolically active human dermal replacement for the treatment of diabetic foot ulcers. Artif Org 21:1203–1210. (1996) Tissue engineering and autologous transplant fromation: practical approaches with resorbable biomaterials and new culture techniques. Biomaterials 17:237–242. (1999) A new method for in vitro production of human reconstrcuted cornea by tissue engineering. (ARVO Suppl) Invest Ophthalmol Vis Sci 40:1745. (1998) Behaviour of corneal epithelial, endothelial, and stromal cells cultured on a three-dimensional matrix. (ARVO Suppl) Invest Ophthalmol Vis Sci 39:3500. (1999) Human embrionic stem cells: the future is now. Nat Med 5:151–152. (1999) Turning brain into blood: a haemopoetic fate adopted by adult neural stem cells in vivo. Science 283:534–538. (1999) Encapsulated cells as therapy. Sci Am 280:52–58. (1995) Immunoisolation and cellular xenotransplantation. Xeno 3:43–48.